ESA - Science on Stage - Waking up to science! How is Europe to tackle its shortage of scientists? The EIROforum Science on Stage festival aims to give European teachers some of the answers they need to take up this urgent challenge. This unique event, showcasing the very best of today’s science education, will feature science demonstrations, a science teaching fair with some 66 stands, and a Round Table discussion chaired by the European Commissioner for Science and Research, Janez Potočnik. Science on Stage will have Grenoble (France) buzzing from 2 to 6 April 2007. A rugby team and a hockey team will take on the power of the vacuum, a cook will demonstrate how science can inspire new culinary ideas, visitors will discover the real colour of the sun, an inflatable model of Borromini’s gallery will help to explain the science of optical illusions, and Merlin himself will reveal all about how to make a cake float. These are just some of the exciting things that will be happening at the EIROforum Science on Stage festival. By showing how fascinating and entertaining science can be, the event aims to attract young people to science and ultimately help to reduce the shortage of scientists in Europe. With support from the European Commission, this international festival will bring together some 500 science educators from 27 European countries. The highlight of the festival will be a Round Table discussion on ‘Science Education in the Age of the Knowledge Society – Strengthening Science Education in Europe’, which will take place on 5 April 2007 with the participation of the European Commissioner for Science and Research, Janez Potočnik. The panellists - all high-ranking decision-makers – will include the Danish Minister for Education, Bertel Haarder, the MEP Vittorio Prodi, and the Chair of the UK’s Engineering and Physical Sciences Research Council, Julia Higgins. At the end of the Round Table, there will be some time for questions from journalists and the audience. ’Curiosity is in our genes’, says Potočnik. ‘Unfortunately it tends to die away when we grow up. This is because the ways we raise and educate our children and the ways we work and live do not always support innovative thinking and doing. We cannot change this overnight. But I think it is worth making the effort to awaken this dormant passion and initiatives like Science on Stage can be a very effective alarm clock’, he adds. 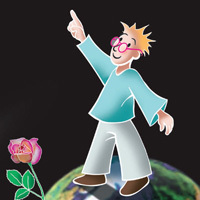 The festival will close with the presentation of the European Science Teaching Awards. The teaching materials and methods voted to be the best in Europe will then be made available through the ‘Science in School’ magazine, distributed free of charge to 30,000 teachers in Europe. The festival is the climax of a two-year programme of events organised in virtually every country of Europe and from which delegates have been selected for their outstanding projects for promoting science. The event follows on from the hugely successful 'Physics on Stage' and 'Science on Stage' festivals organised by EIROforum in 2000, 2002, 2003 and 2005.